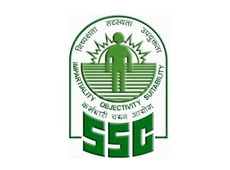 Staff Selection Commission Extended Last date of CHSL Exam. Staff Selection Commission(SSC) extended last date of Combined Higher Secondary Level Exam till December 27, 2017. Initially it was till December 18, 2017, On December 18 when server doesn't respond it is extended to December 20, 2017.Commission again extend its submission date, now candidate can fill their form online till December 27,2017. This was due to registration server error.